Clearly I don’t follow the “don’t wear white after Labor Day” rule! 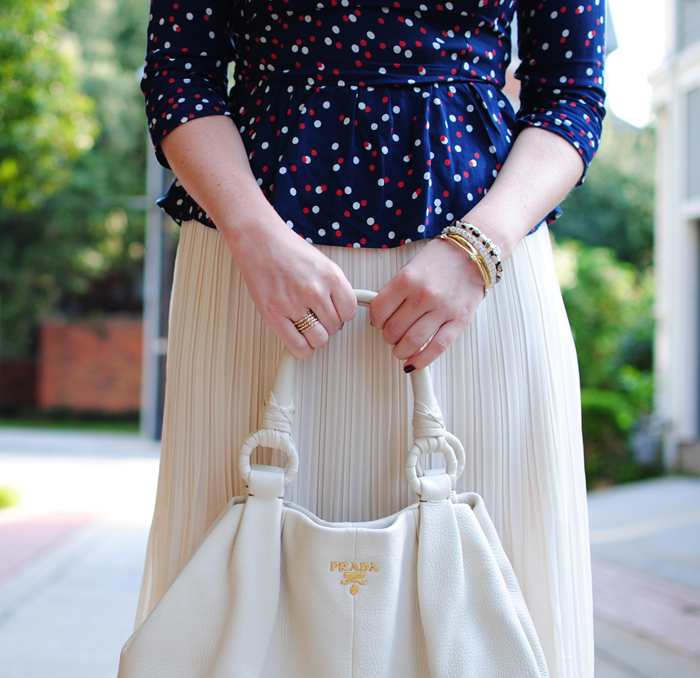 I love creamy hues for fall and winter and this pleated skirt is no exception. It’s a great neutral piece that I can wear year-round with a variety of layers up top! Get this staple for under $50 here. As you all know, tonight I’ll be trading in my preppy pleats for greens, browns and boots for my Argentina trip! Hopefully I’ll have some great pics to share by Thursday, but until then, enjoy this week’s posts! 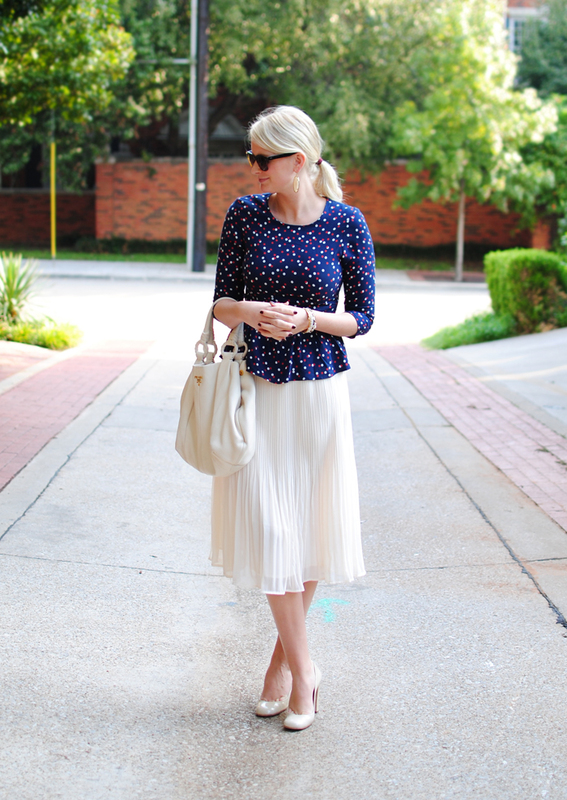 Love the longer length of this skirt and how you paired it with the peplum top – very pretty & ladylike! adore this elegant look, Merritt! hoping in Argentina you’ll show off your forrest green Bauble Bar bib necklace– so curious how to style that!